Well, it’s not that Brodynt is 200 years old… Time will come. We are rather celebrating that our coverage has already reached 200 countries! Actually, 202 to be precise. From our strong European base, we have expanded through Asia-Pacific, the Americas, Africa and the Central Asia-Middle East region, up to the remotest islands in the Pacific. We know how to get things done so that you can enjoy Internet connectivity access and services practically everywhere, with a single monthly bill, one currency, and one customer support. Anywhere. For your peace of mind. 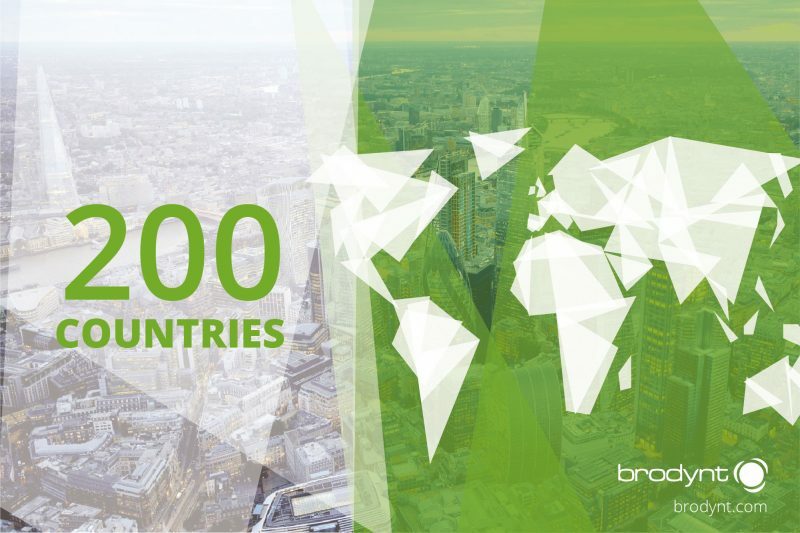 We could not have done it without the relentless effort of our Business Development team and the hard work of everyone involved in Brodynt, from Management to Sales to Provisioning, Support, and Marketing. We also want to thank our loyal partners and providers. Without them, this figure would only be a number. They are our eyes, hands, and feet on the field. So, happy 200 countries coverage! We expect to keep growing and strengthening our presence around the world, solidly and reliably. Because Brodynt means Internet Access. Anywhere. Now more than ever.